The earliest poems contained in this volume were written in the late ’80s during Woeser’s days as a student of Chinese literature in Chengdu’s South West University for Nationalities. Although born in Lhasa during the Cultural Revolution and spending her first four years there, her family moved to Kham and she spent most of her childhood in Tibetan areas of Sichuan province, Chengdu being the provincial capital. Woeser candidly writes about growing up Sinicised − her father was a high-ranking officer in the People’s Liberation Army and she grew up very much in a Chinese-speaking environment. In her 2004 poem “Tibet’s Secret” she writes “From birth I grew up to the bugle calls of the PLA / A worthy heir of Communism”. 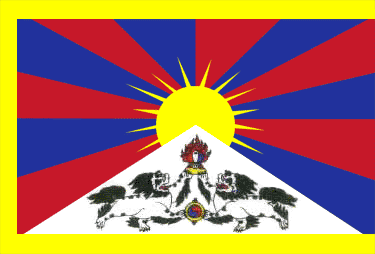 The lines connecting the disparate true hearts of Tibet are as much virtual as psychological or emotional − technology has played a crucial role and undoubtedly created new space for reflection and self-education. Woeser’s knowledge of a political prisoner’s plight comes from “a biography I downloaded in Lhasa” and “It was only on the Web I saw, spread out before an old lama, An array of handcuffs, leg-irons, daggers…”. In “Remembering A Battered Buddha” her memory of that Buddha is kept alive digitally, “I only took some pictures, So when I miss it I can turn on my computer and have a look.” The contemporary feel is refreshing and at times provides relief from the overwhelmingly melancholy tone of the poetry. In “Spinning Wheels”, the wheel metaphor is not only the classically Buddhist circle, or Kora, or Mani wheel but also “Mitsubishi tracker wheels, Beijing jeep wheels, Dongfang truck wheels, long-distance bus wheels, Minivan wheels, red taxi wheels, Walking tractor wheels.” These observations also give the reader an accurate impression of life in Tibet today where wheels symbolise the development and changes taking place as much as the religion. Woeser’s details also identify the greatest changes taking place in Tibet today, the poem “Return to Lhasa” mentions “little fake zebras […] a pink fake lotus […] I saw the celebrated Qinghai-Tibet railway on a concrete overpass”, even noting that the taxi drivers speak in Sichuanese dialect portrays Lhasa today exactly. Thank you for your beautiful review of a beautiful (and of course painful) book. It’s about truth and beauty so much more than the political statements and expressions of anguish. Those, too. 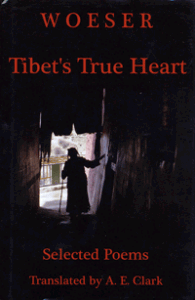 Woeser’s poems are much more direct than any Tibetan poem written in Tibetan and published in Tibet. She is extremely outspoken and it is quite amazing that she is able to express herself that openly about political matters – Tibetans writing in Tibetan beat around the bush. Anybody got an idea whether this convoluted style is a game or a necessity ? Also, one should mention the extraordinary book that Woeser (under her Sinised name Wei Se) published in Taiwan (it is forbidden in China): it includes virtually never-seen-before pictures that her father took in Lhasa during the Cultural Revolution. Woeser comments the pictures. Note that Sha jie, the Chinese title of the book, means literally “Murder and looting” but is a pun on the Tibetan word for “Rebolution” (gsar brje), as is clear on the book cover. “But clearly the growing discovery of faith runs parallel to the political awakening” – a very intersting part of the beautifully written review!